The next Tundra could be the first recipient. The Toyota Tacoma and Tundra pickup trucks are getting old, especially the latter. Both can still hold their own against rivals, but those competitors are getting better all the time. Fortunately, Toyota has a solution. According to Automotive News, the automaker is developing a new common platform, internally called F1, which will underpin not only the next generation Tacoma and Tundra, but also its other global pickup trucks. The report doesn’t specifically mention it, but it’s fair to assume that includes the overseas-only Hilux. Toyota is currently deploying its unibody platform, dubbed Toyota New Global Architecture, to its traditional sedan and crossover range, such as the new Corolla and RAV4, but a proper pickup truck requires body-on-frame construction. Switching to an all-new global truck architecture makes absolute sense in that case. Not only will it help reduce costs, but also allows greater flexibility at production plants. The Tacoma and Tundra are both built alongside each other in San Antonio, Texas, but they are built on different platforms. The Hilux, meanwhile, is built on a separate platform that’s not even homologated for the North American market. One global truck platform means factories require the same tooling, thus making it easier, should the need arise, to shift production from one location to another. Internal Toyota sources claim the new truck platform is nearly done and it could launch as soon as next year for early 2021 models. It still remains a mystery which truck will receive the new platform first, but our best guess is the Tundra, which dates back to 2007. 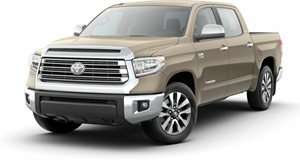 Tundra sales have also taken a 4.6 percent hit in the first quarter of this year, while Tacoma sales are up by 13 percent. 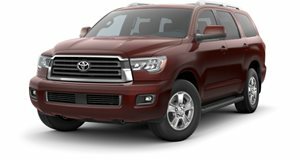 It’s also worth noting that the Tundra’s platform is also shared with the Sequoia SUV. 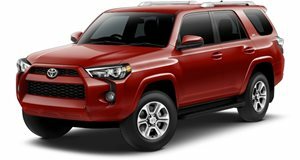 The 4Runner, Land Cruiser, and Lexus GX and LX ride on a separate architecture, but it’d make sense for their eventual successors to switch to the F1 platform as well. For all of the advantages a shared truck architecture will bring, there is one area of concern: size. "Can you make the Tundra as big as it needs to be, while still keeping the Tacoma as small as it needs to be? 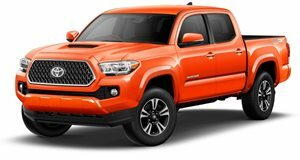 And you could easily end up with a Tacoma that might be heavier than it needs to be,” as one industry analyst described it. And what about hybrid trucks? We’d be shocked if the new platform wasn’t designed with electrification in mind.